WVER0010I: Copyright (c) IBM Corporation 2002, 2012; All rights reserved. f) Extract the Fixpack zip 8.5.5-WS-WASND-FP0000001-part1.zip & 8.5.5-WS-WASND-FP0000001-part2.zip in the same Folder . h) After the completion of the above command . check the updated version of WAS , it should be WAS 8.5.5.1 now . i) Check the versionInfo.sh to see if the Version of the WAS has been updated . 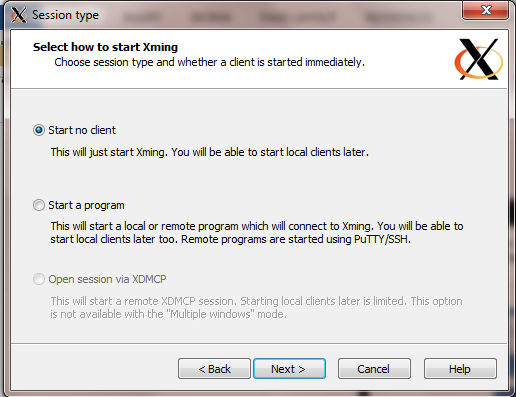 2) Or to stop the web server, from the main menu, select File > Stop server. You need to change the port as per your need to both Http and Https Attribute . 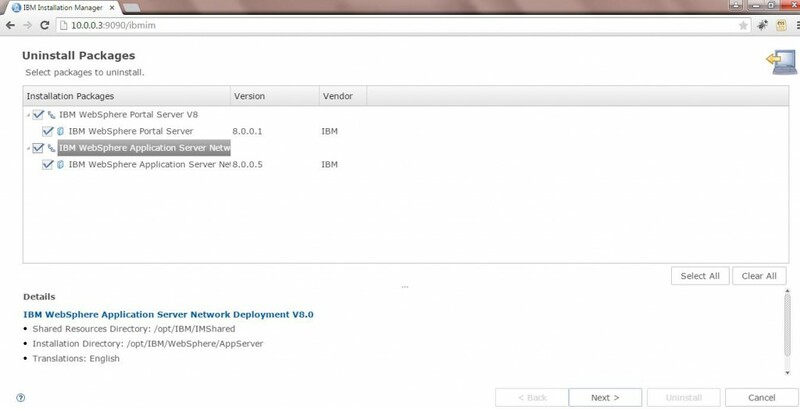 There may be situations where you will not have the access to the GUI mode of Ibm Installation Manager or may find it difficult to installation using response file. 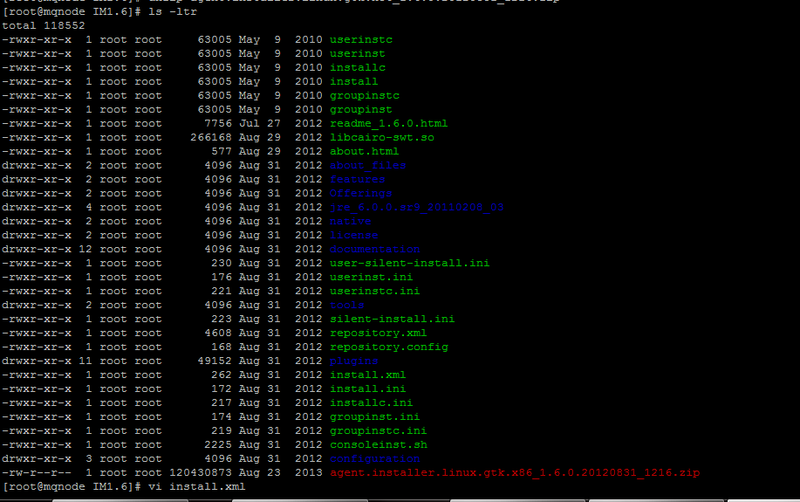 A) Using IMCL console mode we can also install , uninstall upgrade the WAS Products. ERROR: The repository is already added to the list. 1. 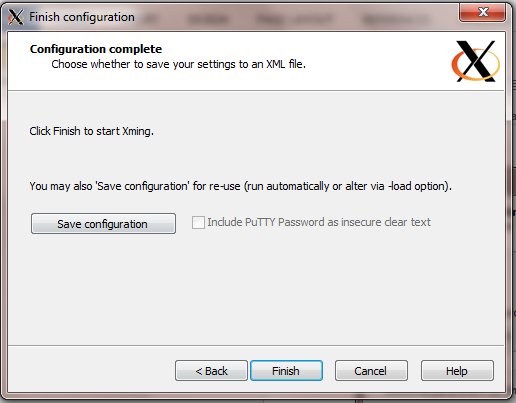 Choose version 7.0.4.1 for installation. 2. 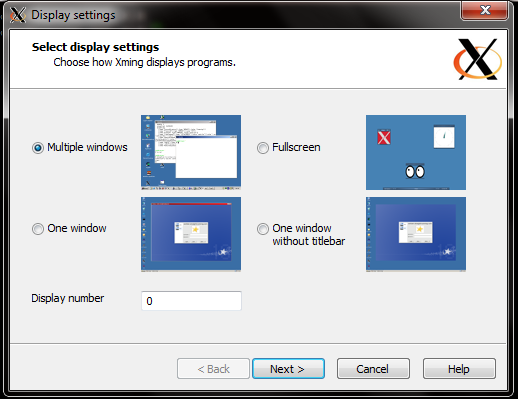 Show all available versions of the package. 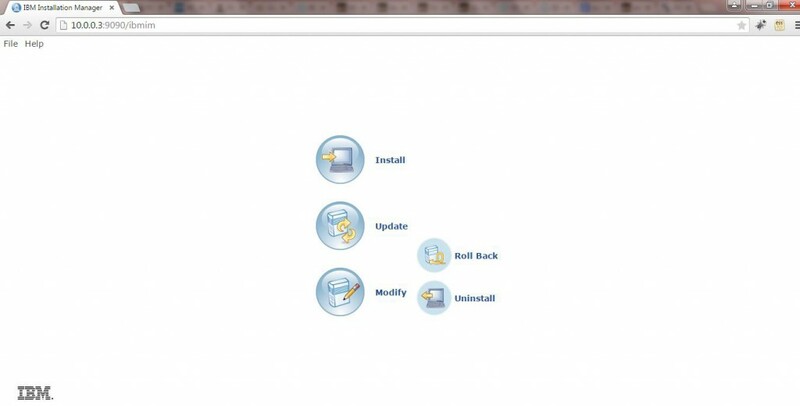 View the following installed packages and fixes. 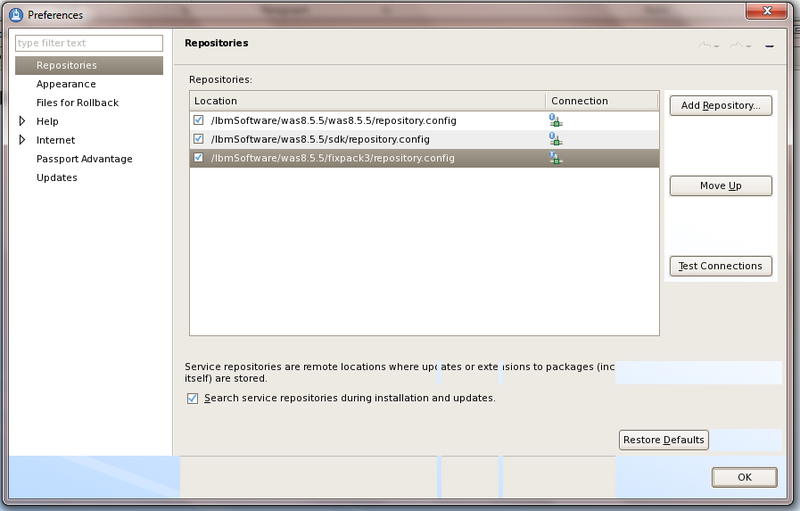 Enter the number to see the details of a package group, package, or fix. 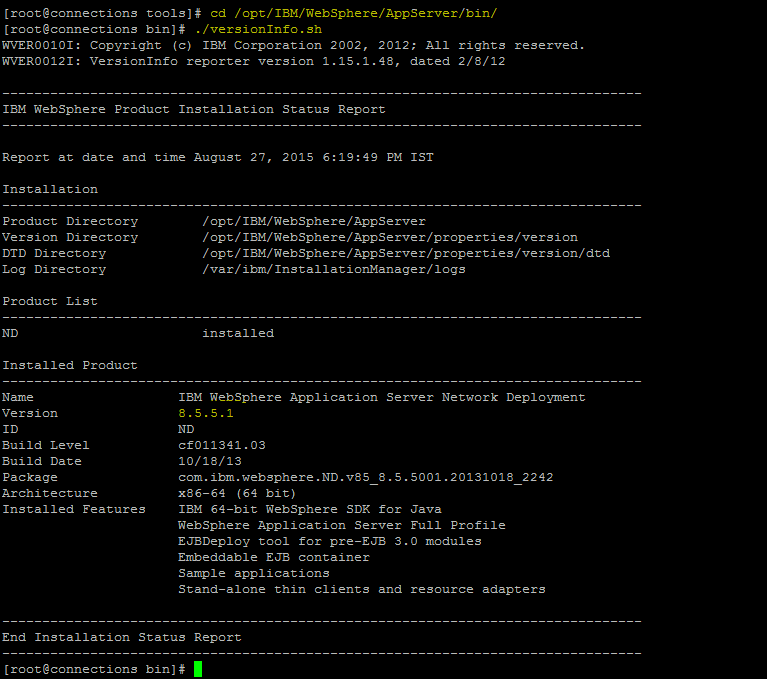 ……………………………………………………………………………………………Updated to com.ibm.websphere.ND.v85_8.5.5003.20140730_1249 in the /opt/IBM/WebSphere/AppServer directory. 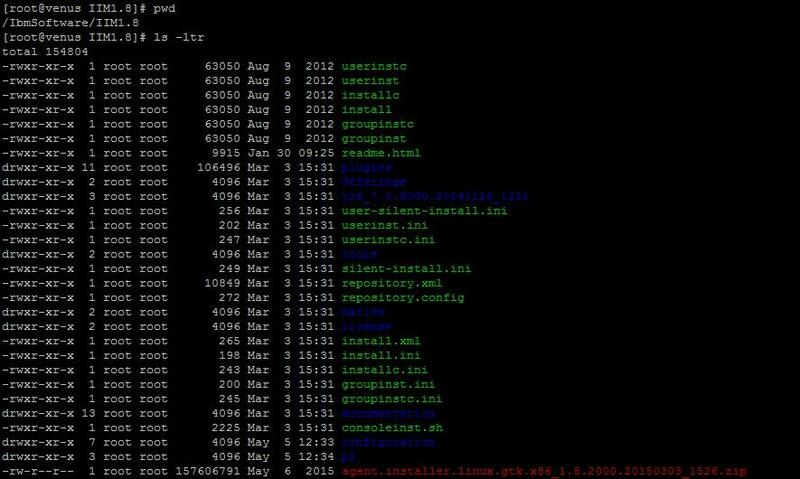 Uninstall packages from the tools directory by using Installation Manager command line (imcl) uninstall commands. 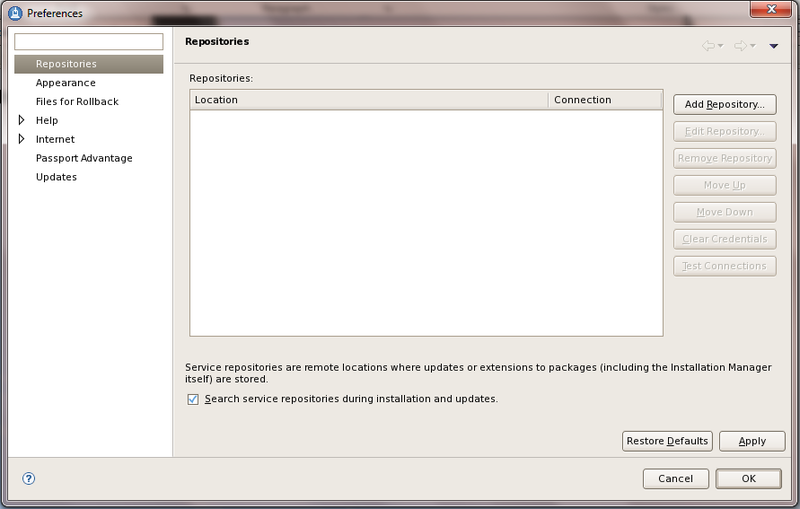 •To identify the package_id_version,feature_id, run the listAvailablePackages command. You need to use “imcl listAvailablePackages” command . 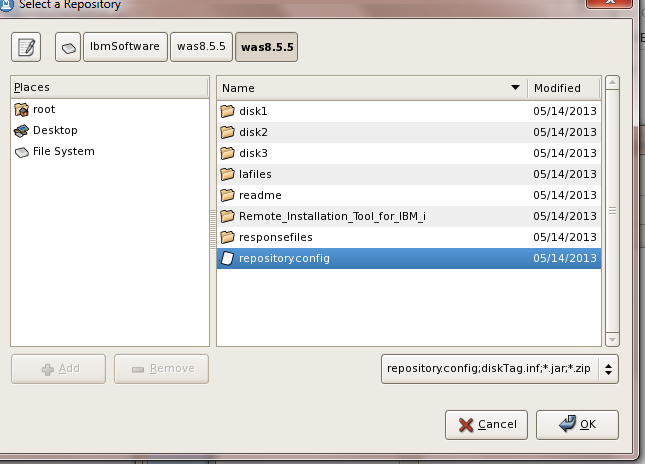 It will display the Offerings and packages within the Repositories. 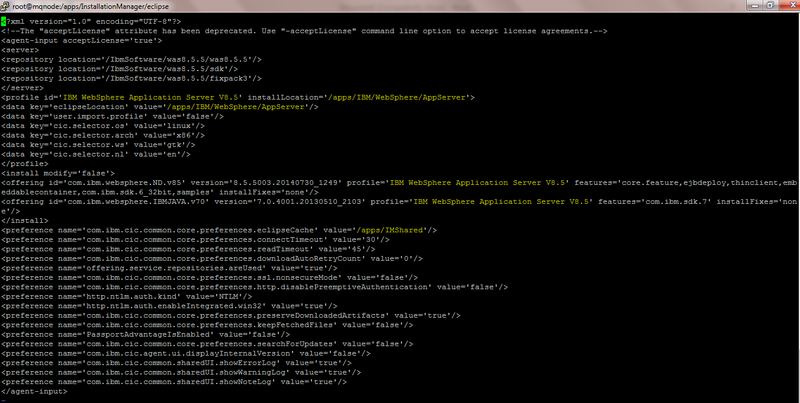 Installed com.ibm.websphere.ND.v85_8.5.5000.20130514_1044 to the /opt/IBM/WebSphere/AppServer directory. 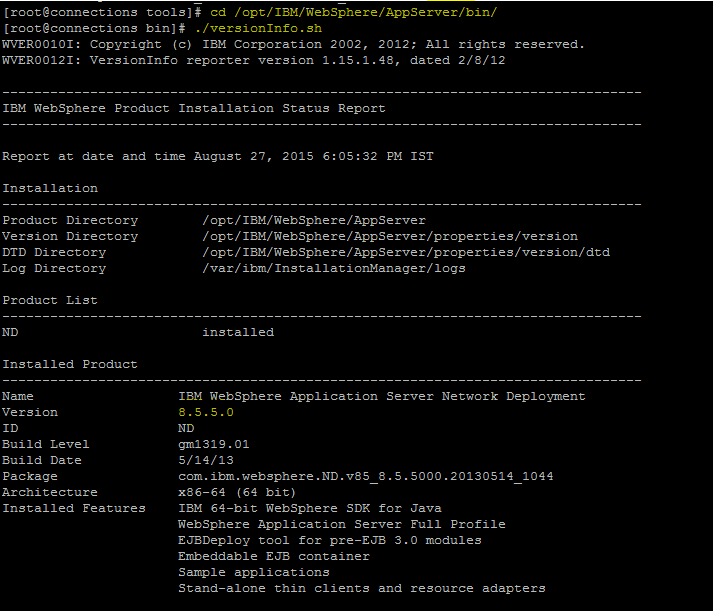 Installed com.ibm.websphere.IBMJAVA.v70_7.0.4001.20130510_2103 to the /opt/IBM/WebSphere/AppServer directory. e) Extract the Fixpack zip 8.5.5-WS-WASND-FP0000001-part1.zip & 8.5.5-WS-WASND-FP0000001-part2.zip in the same Folder . 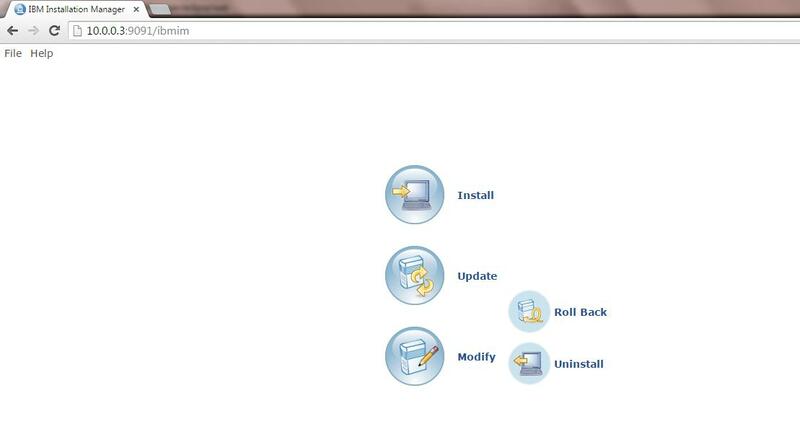 You can use the Record Function of the Ibm Installation Manager . 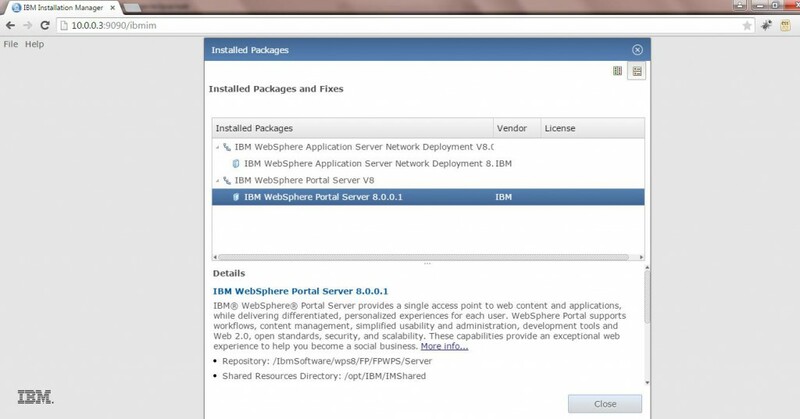 f) Provide the path of the Shared Repository Directory ..
Also using the record function any Installation response file can be created ie for IHS , BPM8, Websphere Portal 8 etc .